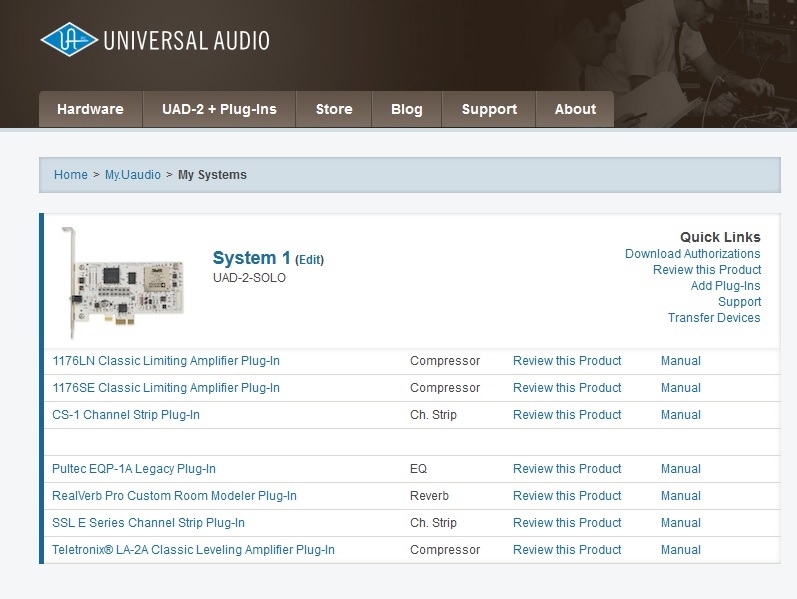 SSL E Series Channel Strip Plug-In, Software channel strip from Universal Audio in the UAD Plug-In series. loudfunk's review"The famous SSL cannel strip as plug-in..."
Everything is great with all U-Audio plug-ins. I'm a huge fan. 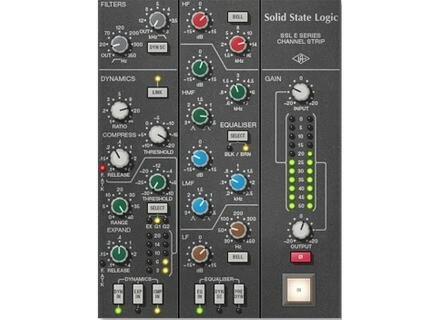 The SSL 4000 is famous as the console employed on more Platinum-selling records than any other. With its wide range of VCA compression characteristics and intuitive EQ — rich with colorful band interdependencies — it’s easy to hear why. Today, working in close partnership with Solid State Logic®, UA proudly unveils the SSL E Series Channel Strip plug-in for UAD-2 — an exacting circuit emulation of this certified hit-making machine. 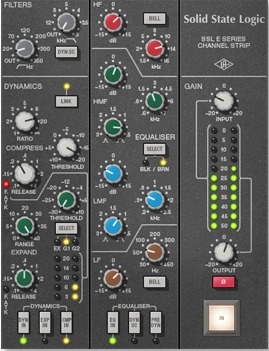 The SSL E Series Channel Strip plug-in allows UAD-2 users on Mac and PC to apply classic SSL 4000 EQ curves and dynamics control to their music. This unique plug-in is distinguished by its remarkably authentic sound, and its inclusion of both the Type E “black knob” and “brown knob” four-band EQ and filters, long considered favorites in SSL lineage. Other features include high and low cut filters, independent Expander/Gate, and bespoke Compressor/Limiter. The E Series’ middle EQ bands are fully parametric, while the high and low bands provide the user with switchable bell or shelving filters. The Comp/Limiter provides Threshold, fast or slow Attack time, a 0.1 to 4 second Release, and a continuously variable Ratio control. The Exp/Gate offers Threshold, fast or slow Attack time, a 0.1 to 4 second Release time, and a Range control to tailor the Gate or Expansion effect. In addition, the SSL E Series Channel Strip plug-in adds a second Gate setting, featuring a “no-chatter” circuit borrowed from later SSL designs. For increased flexibility, a PRE-DYN button allows users to reorder the signal chain, placing the EQ before the dynamics section. With the DYN-SC button, users may engage a sidechain feature, providing frequency-dependent com- pression using the EQ filters, cut filters, or both. Lastly, a Link button adds the ability to link or unlink the sidechain when using the stereo version of the plug-in. Taken together, these features make the SSL E Series plug-in for UAD-2 among the most flexible and best-sounding channel strip emulations available today, bar none.